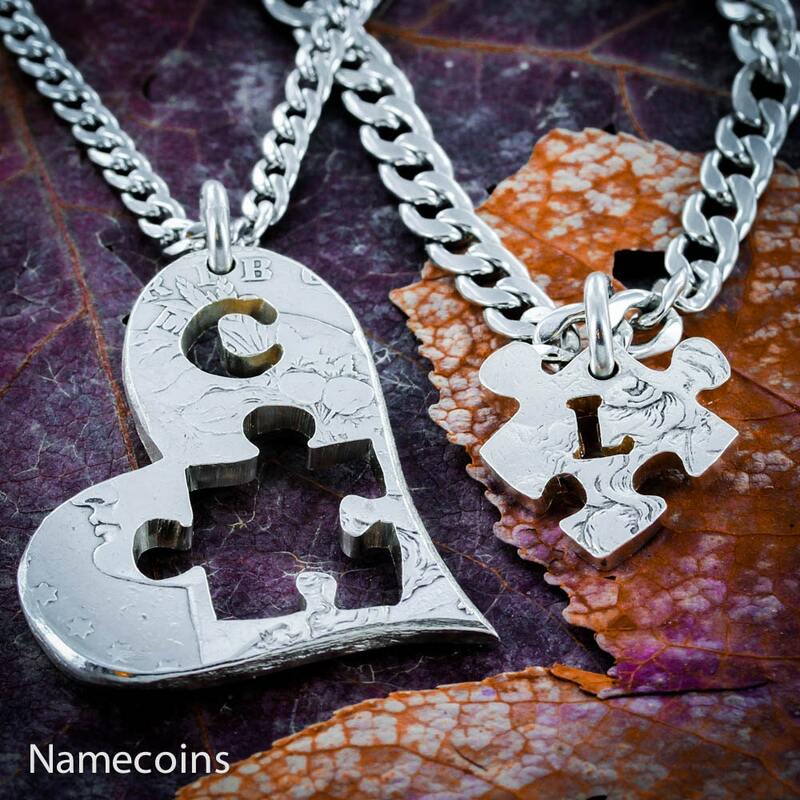 These necklaces are cut into a heart and a puzzle piece within the heart. 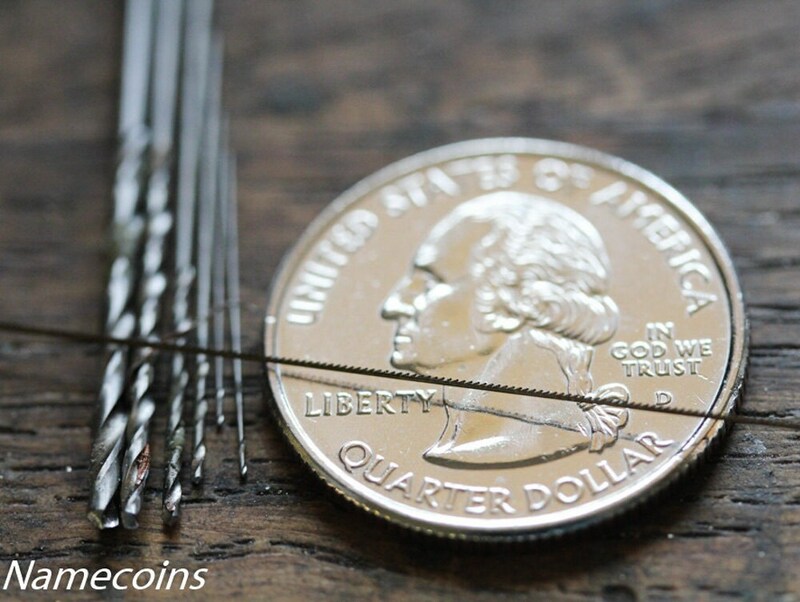 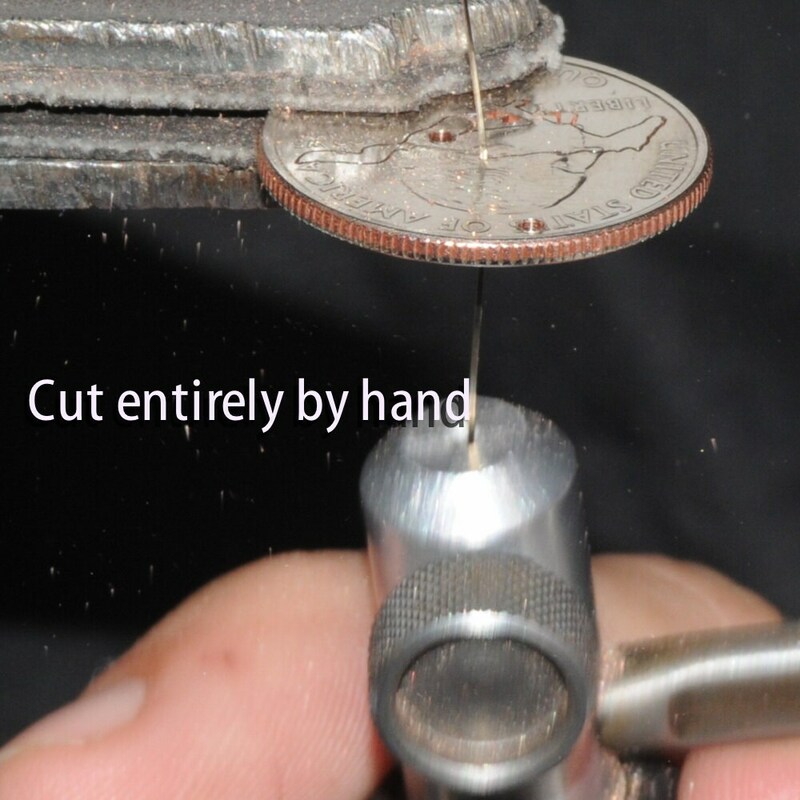 The picture shown is an old real silver half dollar that has been cut by hand with a jewelers saw. 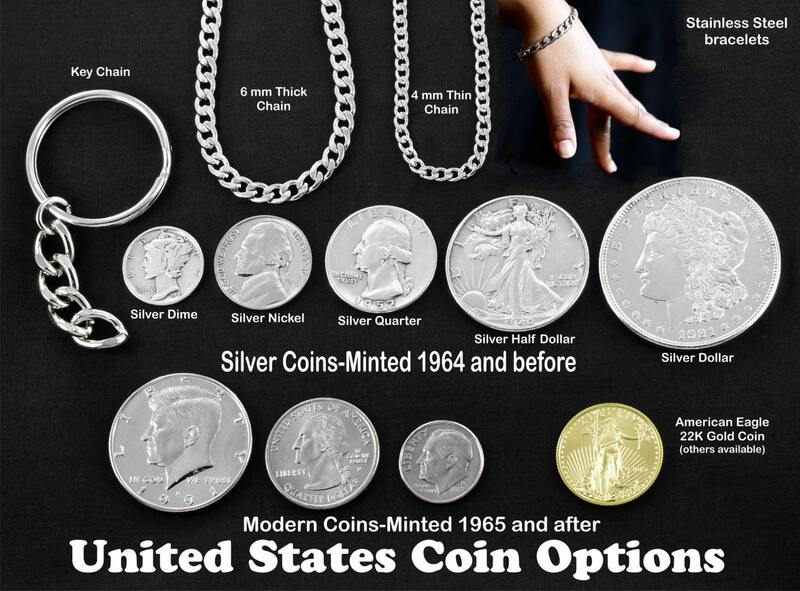 You may also choose an Half dollar. 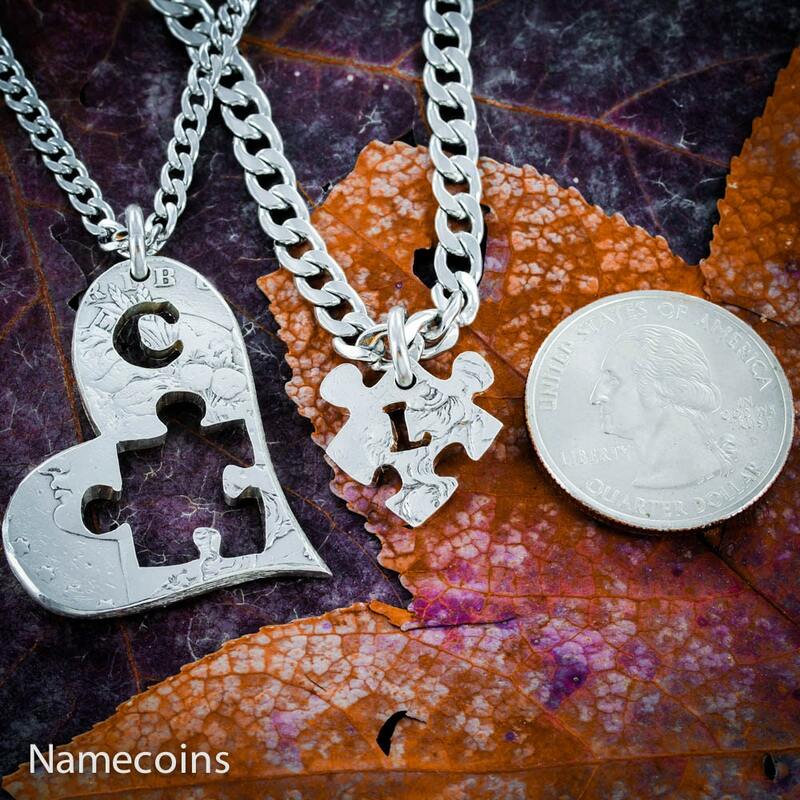 Please let us know in the comments section of your order which initial you would like on each side.